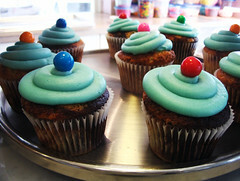 from the cupcake shoppe in Toronto. i love this blog.. but i can't seem to find a way to RSS it? am i missing something? cheers! I am trying to find a recipe for frosting on cup cakes like I have when I come to the U.S. The frosting in the U.K tastes so differnt. can anyone help?? ?